1214 Voskamp Street is an ornate Victorian in Pittsburgh's Spring Garden neighborhood. Like many of the beautiful old homes in the neighborhood, it is vacant, and the owner refuses to make repairs or sell the building. I talked to the neighbor who has been in contact with the owner. According to the neighbor, the owner has received multiple offers for the building, but refuses to sell. The owner apparently also refuses to maintain the building -- it is in desperate need of a new roof. This building is not an exception. There are many homes like this throughout the city of Pittsburgh, and especially in Spring Garden. They will be torn down in a matter of time, due to negligent owners and no plan of action from the city. Property negligence and demolitions are gutting our historic neighborhoods. If you own a vacant property and refuse or cannot afford to maintain it, then it is your obligation to sell it to someone who will. 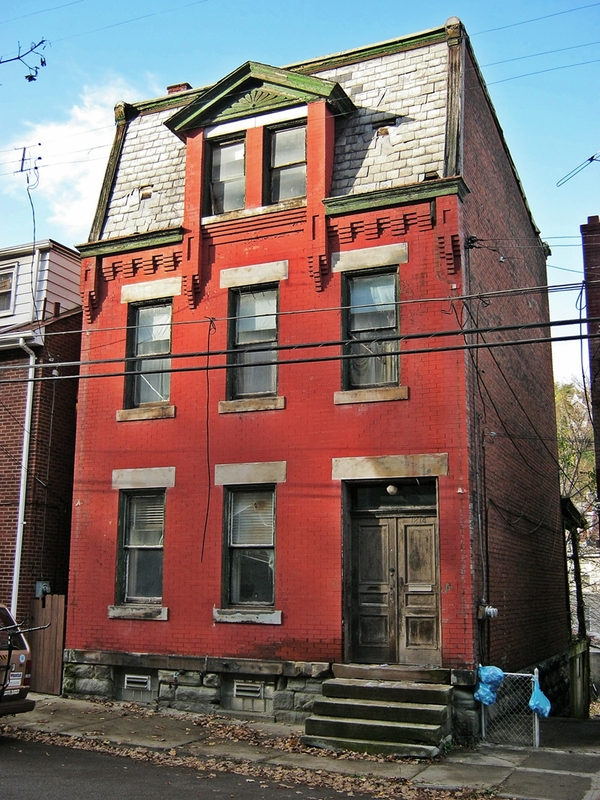 1214 Voskamp Street, Pittsburgh. Negligent property owner refuses to maintain or sell to someone who will, according to neighbor. This is a problem throughout the city, and especially Spring Garden. 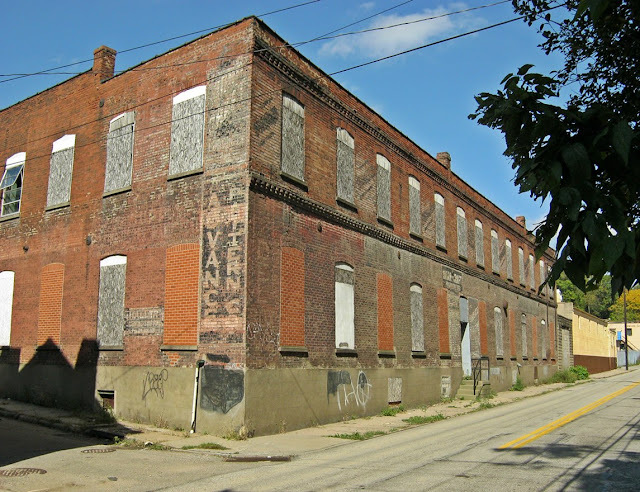 The former Woelfel & Linke Tannery, located on Spring Garden Avenue in the city of Pittsburgh, was built circa 1880 and is part of the neighborhood's unique working class history.